Morris County Appliance Repair has launched professional home appliance repair services in Madison City, New Jersey and surrounding areas. The team specializes in repairing all major brand-name home appliances. 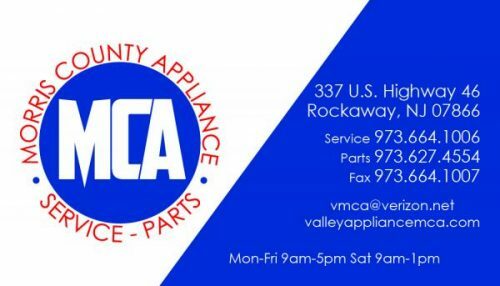 Madison City, New Jersey-based company Morris County Appliance Repair has launched professional appliance repair services. The company specializes in all major household appliances including Sub-Zero refrigerator repair. The company offers a wide range of appliance repair services including garbage disposals, trash compactors, icemakers, air conditioning units, washing machines, dryers, ovens and refrigerators. They conveniently stock appliance repair parts in-house, so customers can often get the parts they need as soon as they need them instead of having to wait to get parts ordered in. The team specializes in refrigerator repair. Customers are urged to call if they’re experiencing any of the following issues with their refrigerator: insufficient cooling, zero cooling, loud noises, water leaks, ice buildup, food inadvertently freezing, water dripping, not cycling off or not running at all. They are also experts in oven repairs. A broken oven can not only be an inconvenience, but a safety hazard. If customers are experiencing uneven heating, excessive heating, insufficient heating, burners not igniting, sparking or lights, timers and dials nor working, they are urged to call Morris County immediately. The team is fully trained and equipped to maintain and repair all major brand-name appliances including Bosch, Dacor, GE, Sub-Zero, Viking and Wolf. Morris County Appliance Repair has been in business for 50 years, is fully licensed and insured and offers full warranty on all labor and parts. Interested parties can find more information and book an appointment at the link above.